Gone is the time when fashion didn’t mean anything to ladies (Though, those times gave this world the great inventors of fashion). Now is the time when they have millions of outfits to get paired with thousands of unique hairstyles and footwear and what not. Being a lady is, definitely, a tough job. 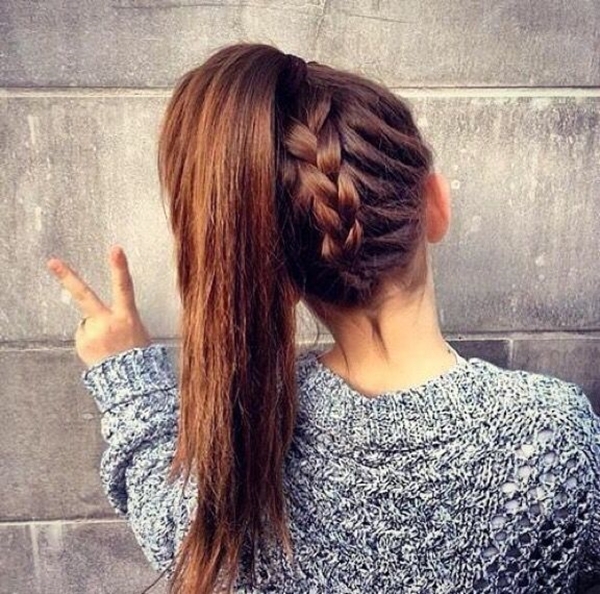 It is not just an outfit that requires so much from the clock but the hairstyle as well. With Medium Length Hairstyles and Haircuts for Women flaunt the shagginess with the entire messy community and neatness with all those sophisticated ones! 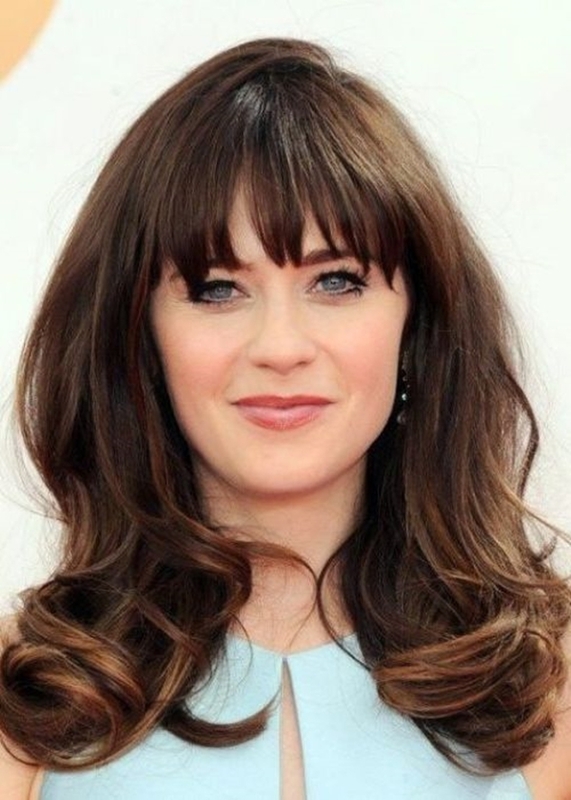 Face Contouring Shaggy Blunt Bangs is one style you would love if you are more of the daddy’s princess kind of girl. It has really short layers that are most probably shorter in the front than at the back. 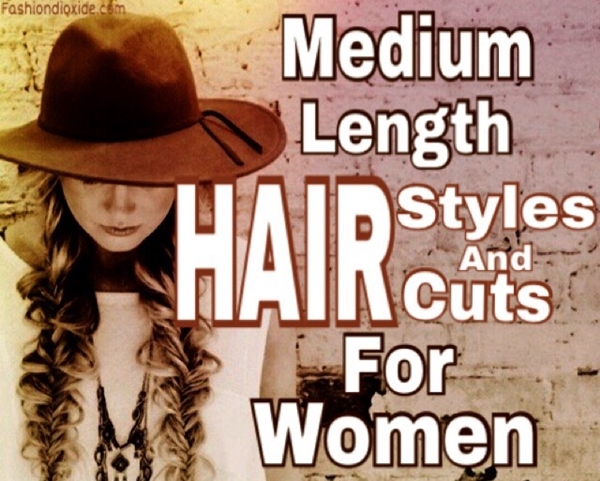 Your straightened hair inspiration is likely to add more swag to your Medium Length Hairstyles and Haircuts for Women. Just the Shaggy Asymmetrical Bang Inspiration that won’t hide your forehead completely but merely a portion of it. It has longer layers and looks much better in Volumized wavy-to-curly hair. Texture will look absolutely perfect much better when the hair is not straight but more of the wavy nature. Undercuts – Why do men have all the Fun? 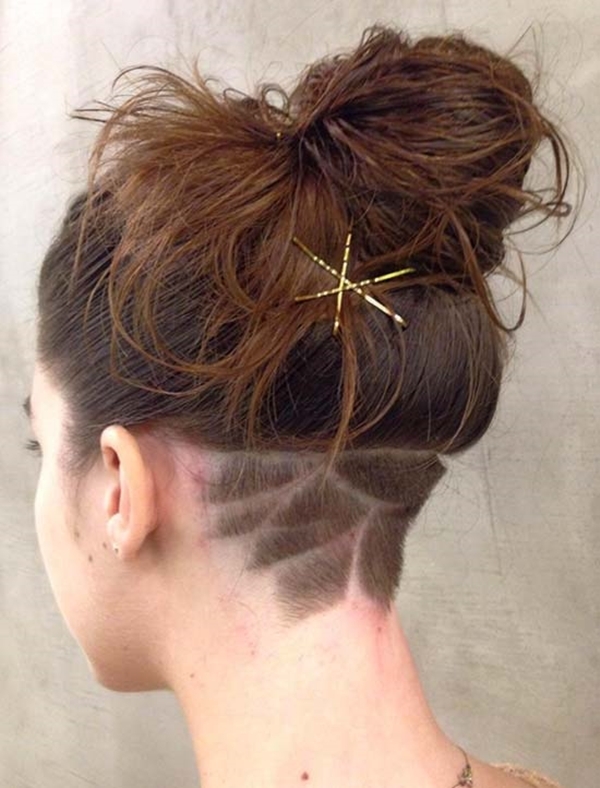 The trendiest hairstyle that goes for all hair; right from the short ones to longer ones as well are these undercuts. 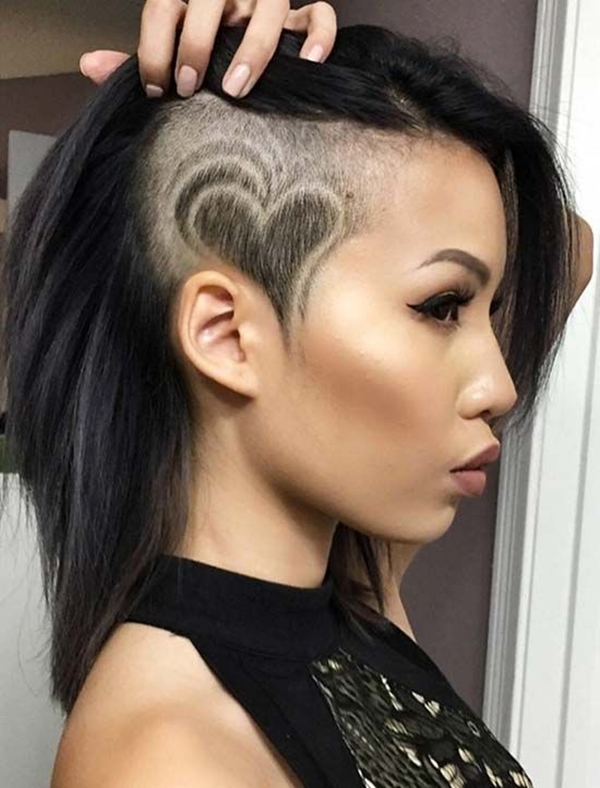 Unlike majority ladies out there, if you have still have the nerve to go for this one of unique Shoulder Length Hairstyles and haircuts then go, grab it. Having undercuts on medium length hair has the perks of flaunting and hiding it whenever you want. A nice high head bun to show the undercut haircut at the back of the head in the most stylish way and keeping the hair unbuckled to hide it instantly is a great idea to hit. The angular long bob haircut is a side swept style that looks pretty voluminous even when straight. 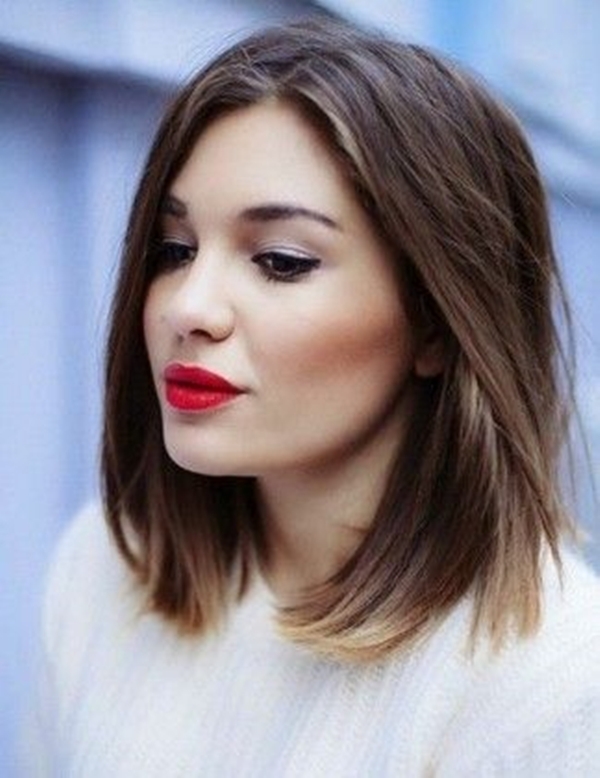 A flattering shape of lady is absolutely yours with the moment you get this classy bob haircut. Long bob haircut is the one that sits right below the chin and on the shoulders. Changing the look isn’t challenging when you totally know all about how to get the straightened hair and the curly-wavy ones as well. Introducing asymmetrical bang inspo is also a classic idea to try this year. Though, parting your long bob asymmetrically from either of the two temples despite of parting it centrally will give a mind-blowing illusion of asymmetry. Yes; they have their infinite updated versions varying from every face walking down the fashion lane depending on the hair type (whether thick or thin) and the face type (whether round or oval or heart shape it is). Getting your hair colored ombre grey or brown or red is going to add statement in this ponytail in a way no hairstyle ever did to you. 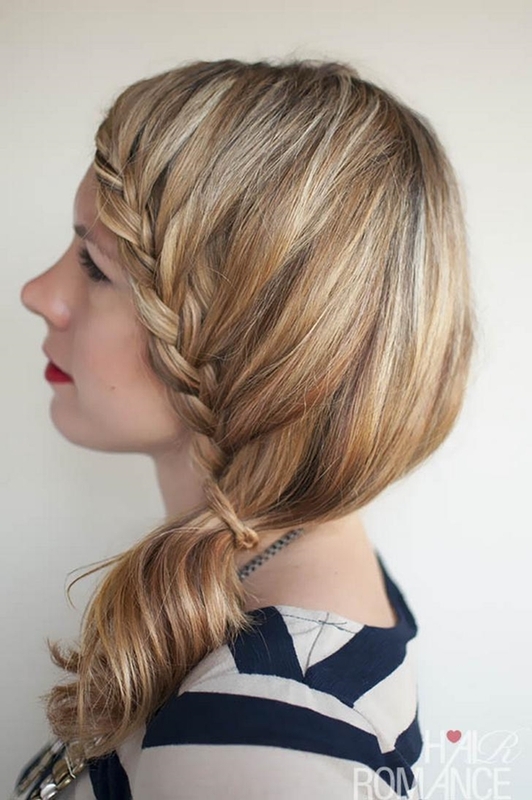 And then the idea of styling the ‘do in messy way is also a romantic Medium Length Hairstyles; a must try for you. 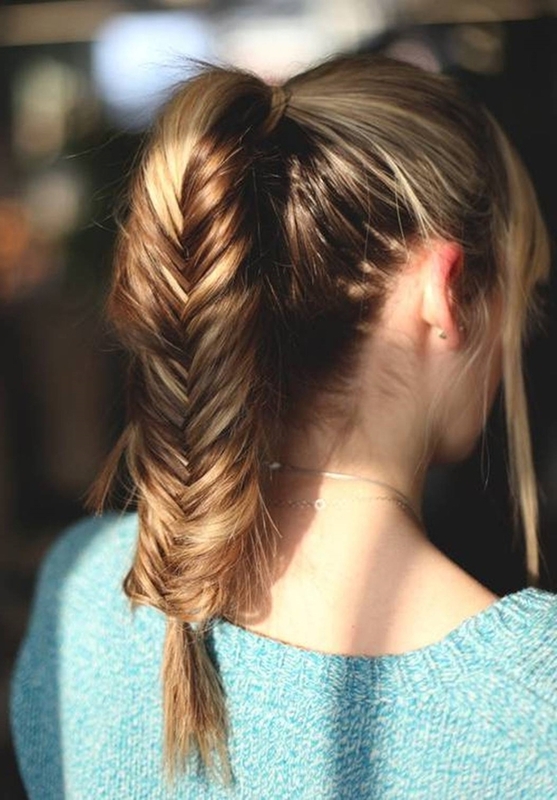 Low Ponytail with the loose fleaks is also a good hairstyle inspiration for carefree fashionistas like you. A high head ponytail secured with a rubber band thereby twisting and spinning it around the roots and pinning it with the bobby pins is a next favorite hairstyle to make you look worth flaunting. Talking of Medium Length Hairstyles and not mentioning the top knot bun hairdo is the biggest gaffe in the life of a fashionista. 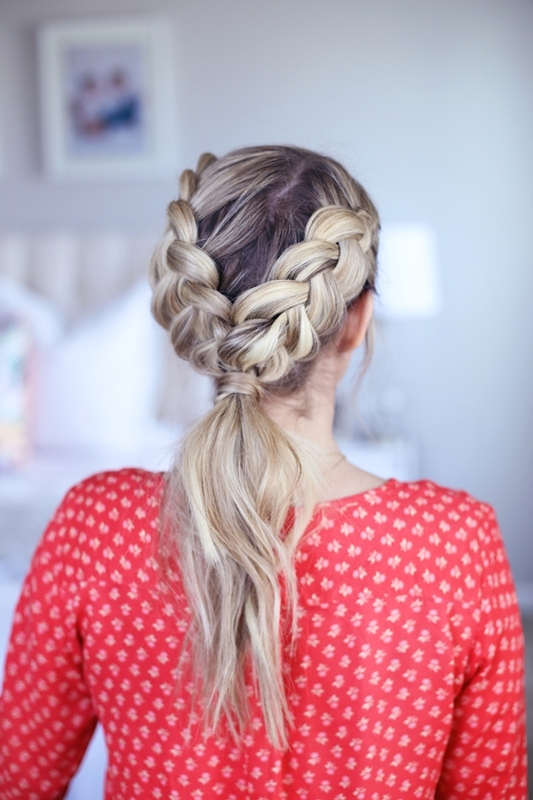 Chunky Dutch Braid into Bun! 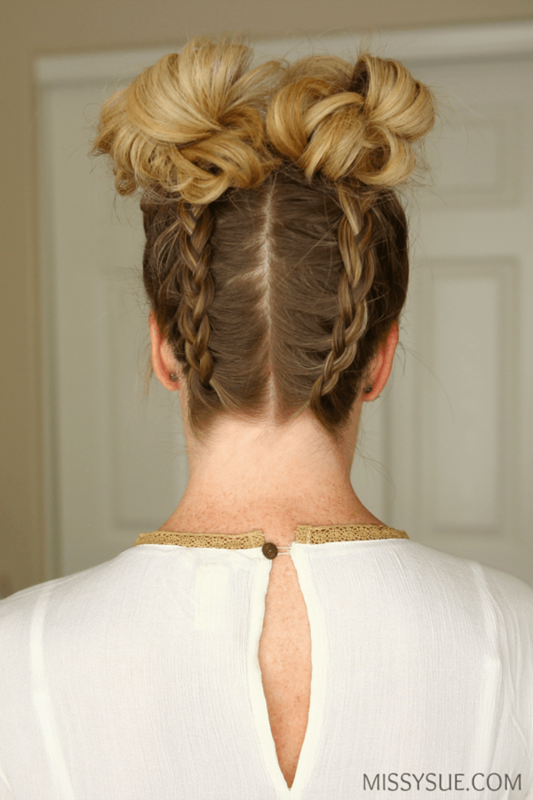 One style is you start with a chunky Dutch braid with the crown hair and make a sophisticated ponytail by grabbing even the last loose strand of hair. 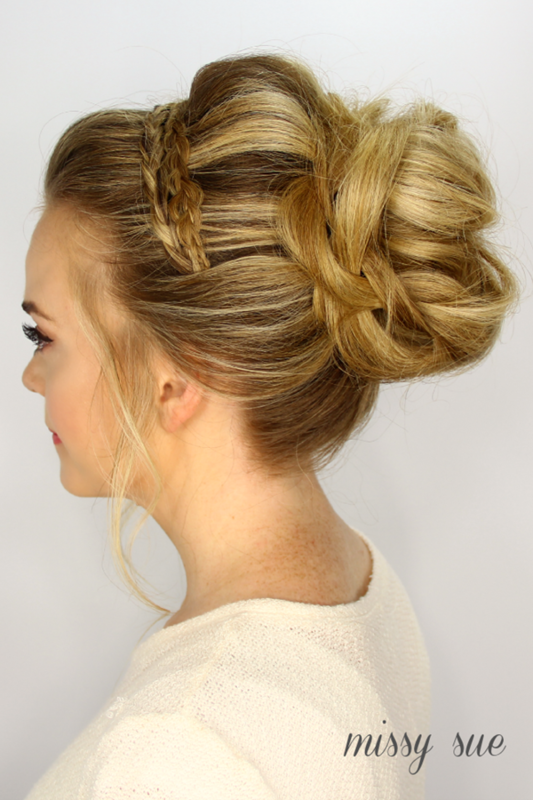 Twisting and pinning the ‘do with bobby pins horizontally and vertically will secure it for a long lasting glamour. 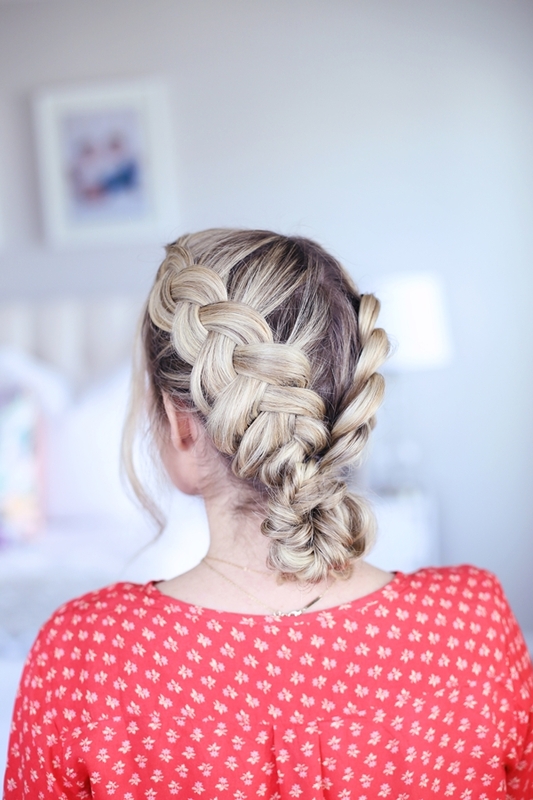 The chunky Dutch braid with the headband style is also a trendy hairstyle to try at least once in that “in-love-with shoulder length hair” period of your life. Medium length hair is ideal for every woman since it stands perfect to pair with your ethnic looks as well and so with your decent professional look as well. Go for it girl!